Home »Campus Technology»Teaching with Technology: Earn a Free Monitor for your Classroom! Teaching with Technology: Earn a Free Monitor for your Classroom! To receive a free monitor for dual monitor capabilities in the classroom of your choice, be one of the first 20 faculty to enter your information. Answer four short questions (name, college, technology, and purpose) to be considered. Take time to see the technology posted by other faculty members. 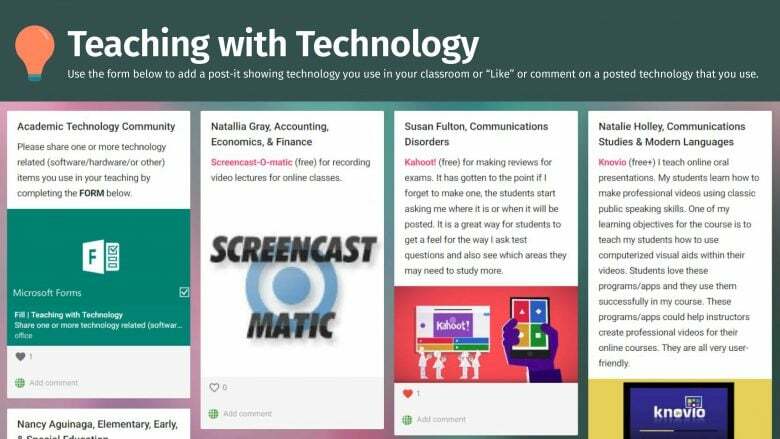 While there, review the current postings, “Like” technology posted, or add a comment, especially on those technologies that you currently use. If you have any questions, contact Martha Henckell, Director of Academic Technologies, at mhenckell@semo.edu or x4357. and purpose: overall more engagement for students and highlight multiple web sources at one time with the dual monitors.